It is that time of year again, fall term is starting!! 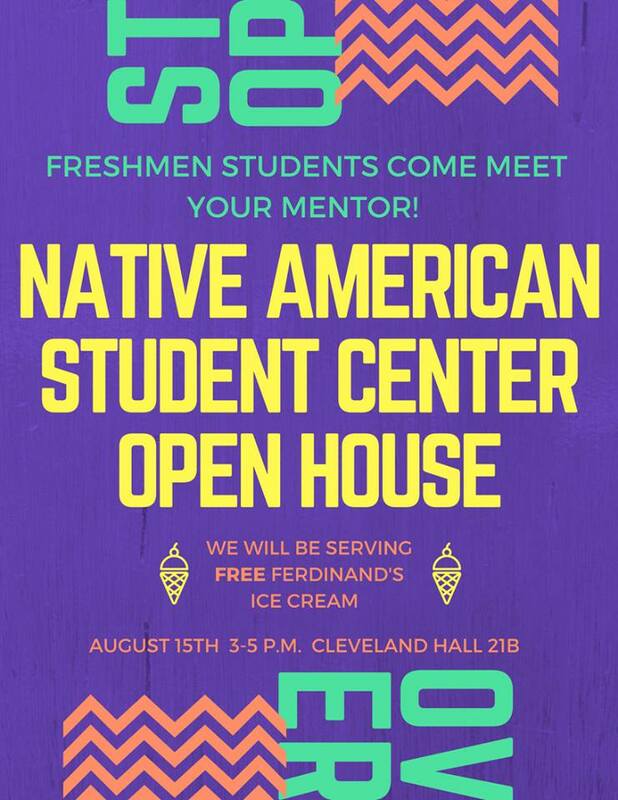 To kick off the year we are having an open house at our Native American Student Center (Cleveland Hall 21B) and we will be serving Ferdinand’s ice cream. This is an opportunity to meet other students and the Native American Programs staff. We hope to see you there!